With this workflow you can convert a string of characters into their ASCII code values and vice versa. The results will be displayed as soon as you run the workflow and copied to your clipboard when you press enter. You can either enter a string or just use your clipboard content. This is a very simple extension for Alfred that generates a random number in a certain range and copies it to the clipboard. This extension is written in AppleScript and UNIX. I just finished my work on a new extension for the Alfred Powerpack. This extension detects all available localizations for a specific application and let’s you choose one of them. 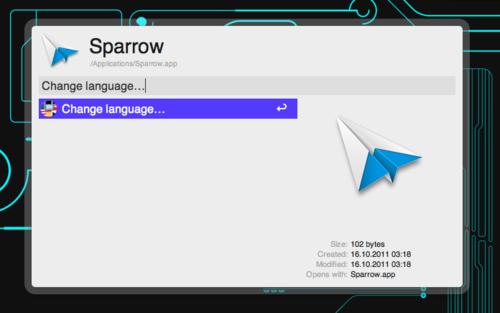 Then it changes the language of the application and restarts it. It’s easy to use and could come in handy if you want to see another localizations of an application or if you don’t like the localizations in your language without changing your system’s default language. If you don’t have the Alfred Powerpack or you don’t want to use Alfred for this task, here is the source code of the extension. I wrote a new and better version of this extension. You can find it here. Here’s another fun thing to do with the Alfred Powerpack. 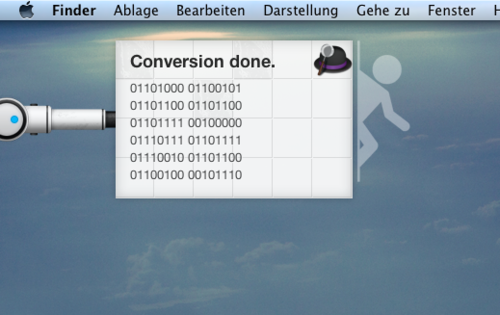 With this extension you are able to convert regular text to binary code. Or decode binary ASCII to human-readable text. Just type “bin con ” into Alfred followed by either ” en” and the text you want to encode or ” de” and the text you want to decode. This extension will do the conversion for you and copies the result to your clipboard. It also uses growl to notify you, when the script is done. 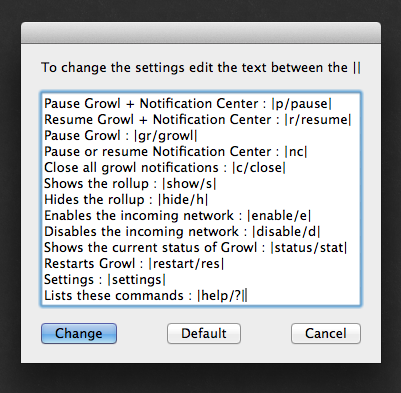 The extension uses Growl v1.3. This extension is no longer supported. I recommend this extension by David Ferguson. 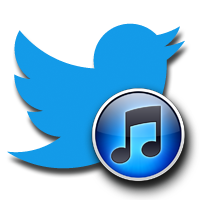 With this extension you’ll be able to share the song you are currently listening to on Twitter via Alfred. The Alfred Powerpack to install the extension. console_tweet, a pretty useful ruby gem. After the gem is ready, download the extension. 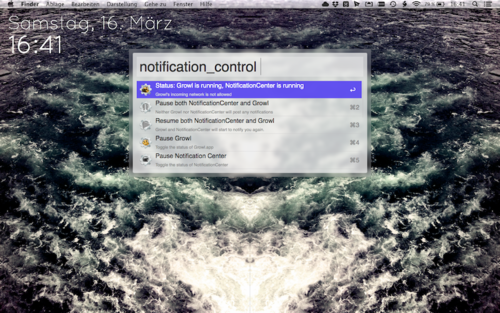 The extension is written in AppleScript and is localized in Englisch and German. It uses growl to notify you about the tweet. If you experience any issues with the extension, contact me via twitter.